Hello, hello today I am writing about self evaluating your blog via a SWOT. A SWOT analysis stands for strengths, weaknesses, opportunities and threats. It may sound boring and time consuming but by writing down what each of these are, it can visually make you see your blog’s weaknesses are so you can tweak them to maximise potential. The strengths you don’t need to ignore either – by capitalising your strengths it will help make your blog stronger. It sound’s like something that takes a lot of time but there is no point publishing content that your readers do not like to view. At the end of the day it is your blog and you can publish what you want – but if your aim is to increase readership, earn money, or increase engagement – then you need to get strategic. To show you how a SWOT can work for you I have included a SWOT of my own blog below. If you google SWOT analysis you will see many done in a box. Personally I prefer working from a list, hence listing them below. Own URL and professional blogger template installed. I have full control over my blog. I have a full – time job so don’t need to worry about making money from my blog. My social media and blog posts do very well in terms of page views and comments and that is the content I prefer writing about. Struggle to find the motivation to write content regularly. Social media strategy needs to be better. My content away from blogging and social media do not so as well. Know several contacts where I can get my work published – which gets my name out more. Very confident about Twitter chats and hosted several chats before so can do those again. Getting a lot better at Photoshop so can start creating some work sheets. Know several graphic designers that if I reach out too, could help me make my brand better. Blogging is a market that has become very saturated and it is getting harder and harder to stand out. What have I learned from my SWOT? So from my strengths I know that the social media and blog tips posts are my best posts so it is best to keep writing posts about them. Having a full – time job means there isn’t the pressure of me having to churn out content to make money. I know I need to work on writing regular content therefore by dedicating time per week to do this is one way where I am more likely to achieve writing and getting my content published. Again by dedicating time just for social media means that I am more likely to hit my goals of pushing more people to my site. I am going to stop writing life posts because there is no point spending my time writing them as it is not what my audience want to read. Knowing your opportunities is easy, now it is finding the time to make the most of those opportunities. It is important because if you don’t realistically have the time to take advantage you could waste other people’s time and it can make your life harder in the future when you do have more time or you try to take advantage of other opportunities because people talk to each other! Therefore, ideally by maximising on your opportunities, expanding on your strengths and working on your weaknesses this should help reduce your threats. Your threats are likely to always be there – you should always keep an eye out on what your threats are doing so you can capitalise on there failings or find a gap in the market they are not catering for. 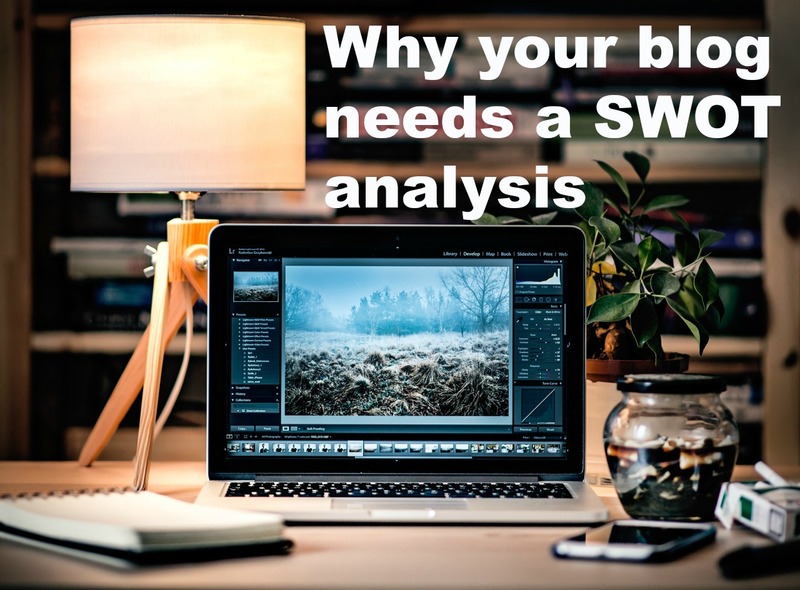 I hope this SWOT blog post has been useful, ironically for me by listing everything down it has made the task of getting my blog up to date not as daunting as first thought. Let me know your thoughts and how you got on below. Next Post Travelling in New York – What to Do and Where to Eat!